Home > BRAINFEEDER Feeds The Hollywood Bowl An Auditory Spectacle > Funkadelic ft. George Clinton and Parliament @ Hollywood Bowl 9/17/15. Setlist. 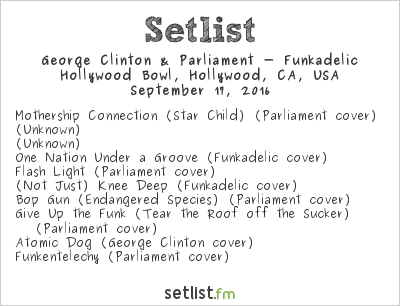 Funkadelic ft. George Clinton and Parliament @ Hollywood Bowl 9/17/15. Setlist.